Curly hairs look full and gorgeous. But in recent days, some customers have complained the curly hair is hard to keep. Especially, for the human hair extensions and wigs, they are selected from real human hair, but differing from your natural hair. They don’t have constant nutrition support from scalp. If you don’t take care of them, it’s easy for them to loss their originally kept nutrition and get frizzy and fragile. And curls are easy to lose their shapes. Here is some tips for caring curly hair, curly hair extensions and curly wigs. Hope to help all people in need. 1. 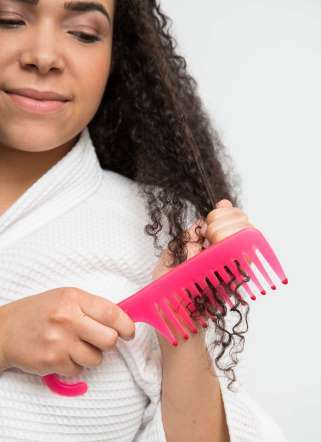 When teasing your curly hair or the curly hair extensions or wigs, use your fingers or a wide-tooth comb instead of a brush to prevent from breakage and preserve the shape of those curls. And the same to other hair textures, comb upward from ends to roots, especially to comb through knots at the ends first. 2. 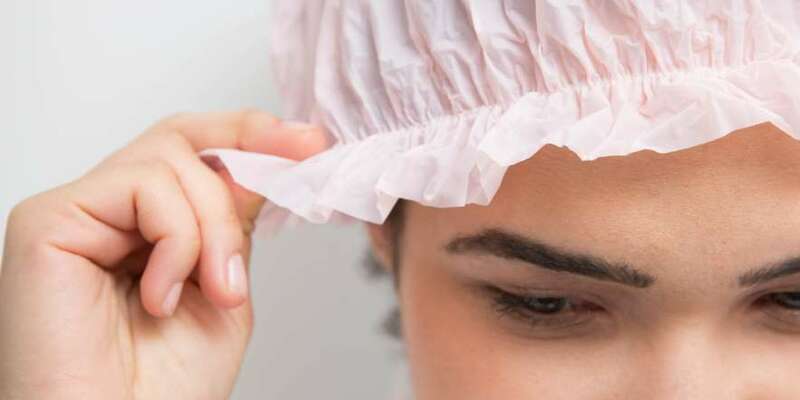 At the moment that you prepare to take a shower on your body not hair with your own curly hair or curly human hair extensions, please apply a deep conditioner to these hair, then tuck them into a shower cap first.So the hair won’t be wet, nor lose moisture even with the heat in the shower. 3. 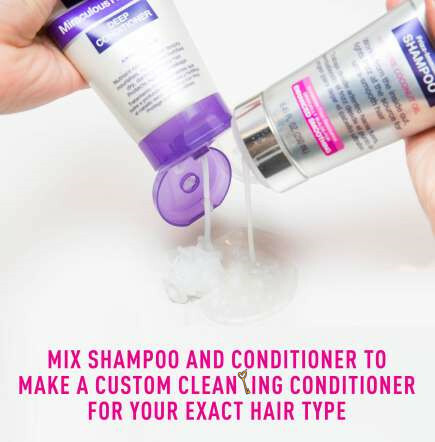 If you want to wash your own curly hair, curly hair extensions or curly wigs, you can mix a small amount of sulfate-free shampoo with a lot of conditioner to make your own cleaning conditioner first, which can help deeply moisturize, meanwhile to gently wash the hair. And to wash them on your head, please apply the mixture cleaning conditioner to the crown of your head and thoroughly massage your scalp. 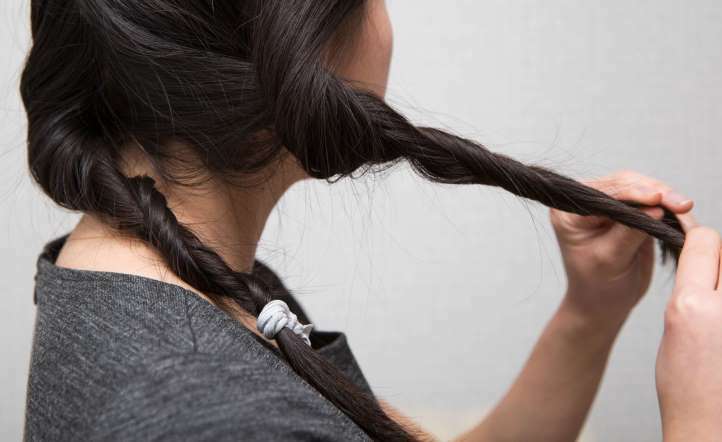 Then rinse the hair toward the ends a few minutes. So all the hair is cleaned without stripped all the natural hair oil, or the hair will be dry and brittle. 4. 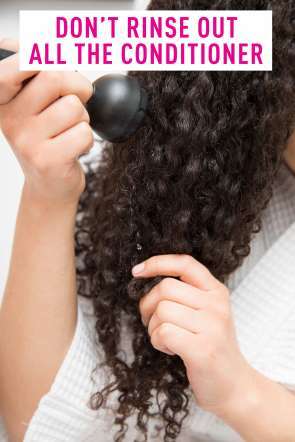 As we all know, curly hair is easier to tangle, especially at the ends.Hence, please don’t completely rinse out all the conditioner when washing the curly hair. The ends would keep more moisture. 5.If your own curly hair, or after using, your curly human hair extensions and curly human hair wigs are extra-dry, when to wash, you can skip shampoo completely, and try washing the hair with only conditioner once a week, once every more days for hair extensions and wigs. 6. 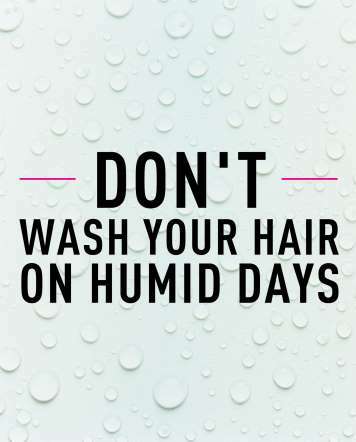 If possible, avoid washing your hair on rainy days, or the hair is easier to be frizz. Frankly speaking, this point is fit for any kind of texture hair. But at that time, you really need clean hair to make new styles to attend important occasions, how to do? You could spray the curly hair with a mixture of water and leave-in conditioner instead washing all the curly hair. 7. 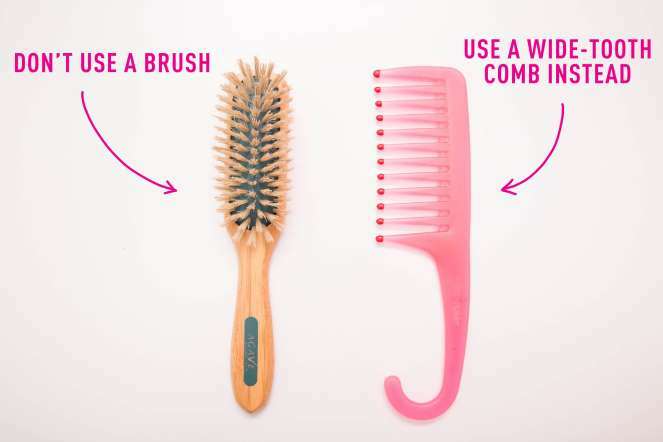 Instead of combing your hair after the hair is dry, you can apply appropriate conditioner and comb it through the curly hair while it’s still in the cleaning. You could know combing the curly hair after the hair is dry, all those curls will be separated, which is easy to cause frizz. 8. After washing, please wring out the water of hair with a T-shirt instead of a towel to prevent from tangling and mess. In general, we prefer to dry the hair with a towel, but please know that a towel will absorb too much water out of the hair to cause frizz. While a smooth T-shirt will help smooth those hair curls and prevent them from matting together. 9. After wring out excess water out of the curly hair, you could try piling all the hair into a loose bun or ponytail on the top of your head. 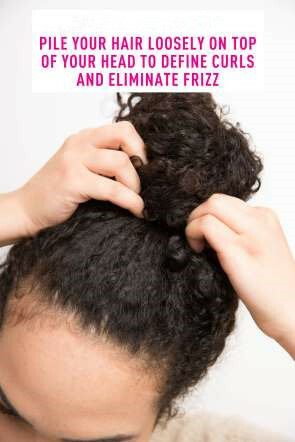 This will prevent from pulling those curls down and frizz by gravity. 10. When you need to style your own curly hair or the curly hair wig, or curly human hair extensions, please mix leave-in conditioner with the styling gel or cream to moisturize the hair first. Then do the styling as normal. 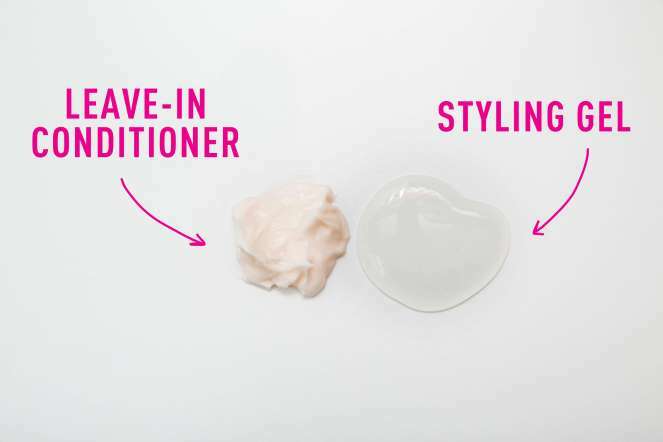 And to keep curls better, you could also condition those hair with hair oil after styling. At the same time, the hair oil will let the hair with the styling cream or mousse feel not too stiff. 11. Before your daily work out in the morning, please apply deep conditioner to the curly hair before you make it into a ponytail or a bun, too. For the heat during working out will lead to lose moisture of the hair as well. 12. It would be better to switch to a satin or silk pillowcase instead of a cotton pillowcase. 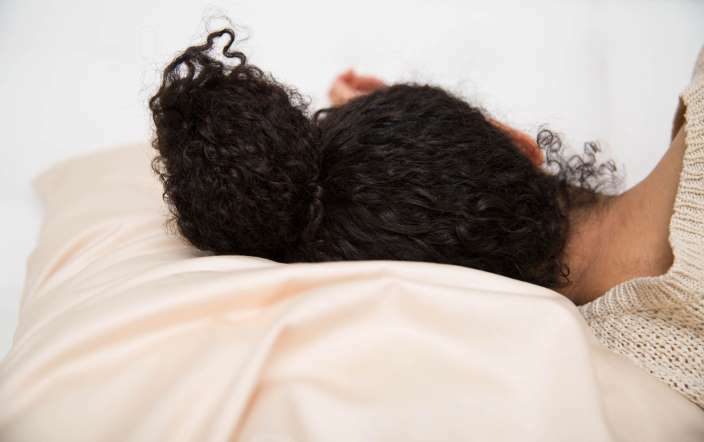 Since the curly hair will slide over the smooth surface of the satin or silk pillowcase, but be easy to tangle and matte on the cotton pillowcase. 13. And do your best to keep your curly hair or curls of your human hair extensions or wigs better and longer, you could separate those hair into sections and loosely twist them now and then. And it’s much great to do that before you go to bed with those curly hair. Nobody is sure to want see your nice curly hair to be weird and creased one over a night. The next is what? Enjoy our own nice curly hair better and longer!